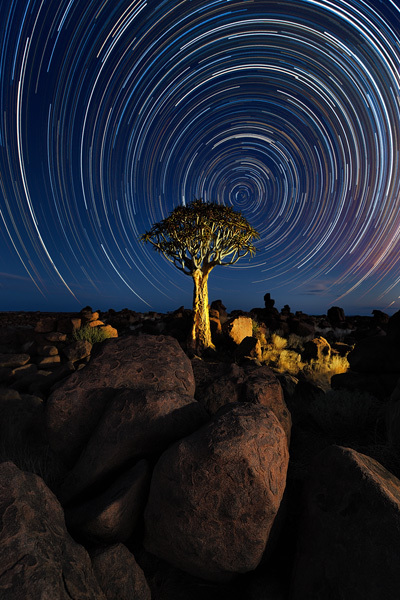 I photographed this quiver tree at night in the south of Namibia, using a small flashlight to make it stand out from the the dark landscape. I also added some light to the foreground rocks during the exposure. Total exposure time for the star trails was approximately 6 hours. The elliptical distortion of the trails is the result of my wide angle lens pointing downwards.